Separate placing booms are used in conjunction with stationary or line pumps in applications where structures are complex, exceptionally high or do not have sufficient space for mobile boom pumps to work.Â Placed on tubular columns and crane masts, they can climb from floor to floor, enabling quick and efficient concrete placement. 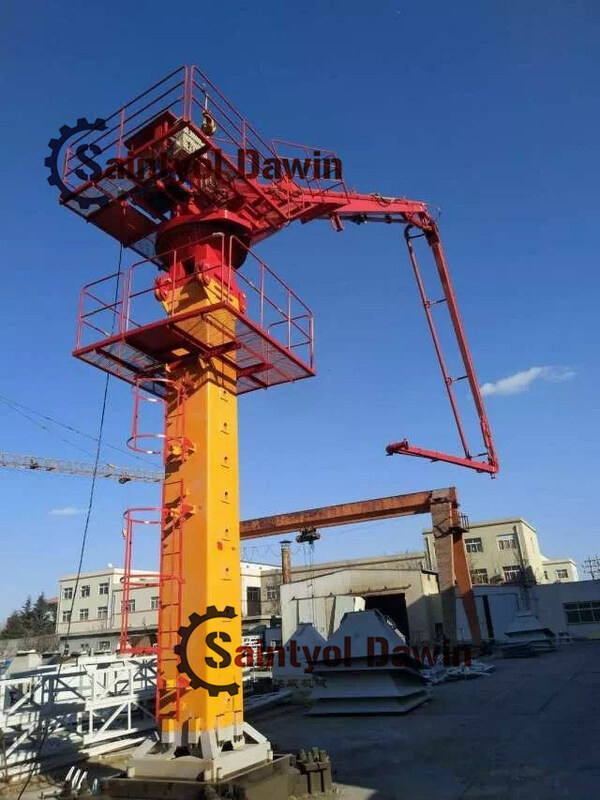 Finally disconnect the climbing cylinder hoses from the pipeline-fitting plate on the tower platform, and place a part of them on the upper-platform and the other part on the tower platform for future use. Â Note: Above parameter is subject to change without prior notice. For the latest technical parameters, please contact us directly. 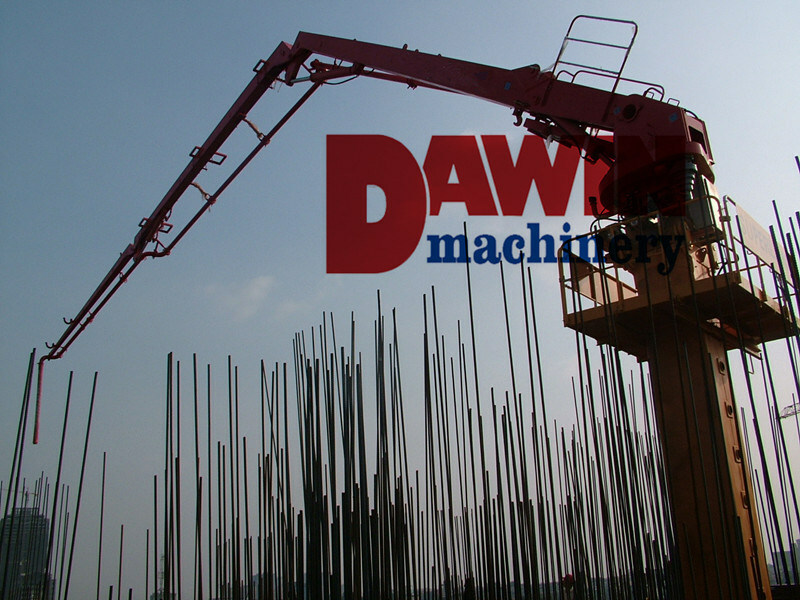 The placing boom takes advantage of mature manufacturing platform of boom design of truck-mounted concrete boom from famous manufacturers. On the base of accuracy data, the boom structure is optimized through finite element analysis, modal analysis, dynamics simulation analysis and endurance test on model machine. The accuracy of design and data is assured through powerful test and industrial assess means. The same-class weld manufacturing technique is adopted for the boom, the quality is excellent. 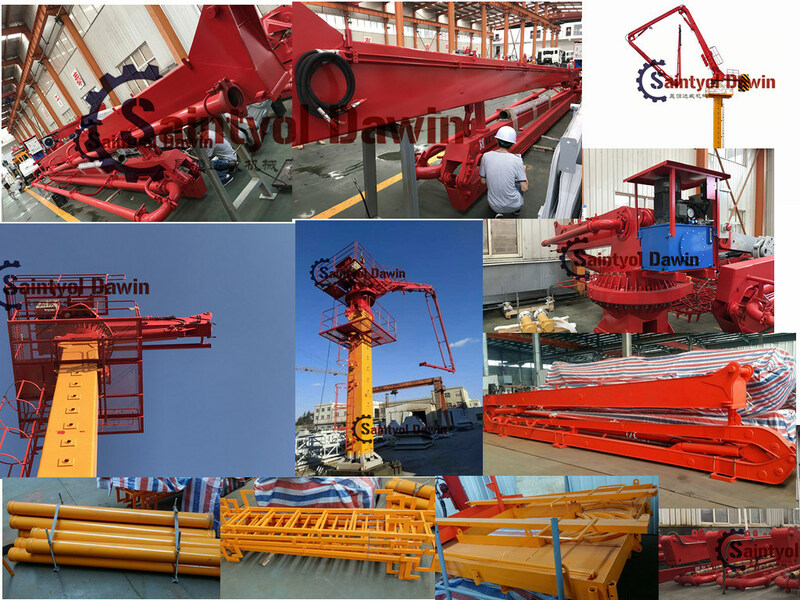 The placing range can be changed by assembling or disassembling the extension boom to meet different placing working condition more neatly. The slewing support is a large-sized bearing which connects the boom and the column, and bears the overturning moment produced by the boom. It is a key component that directly affects the whole machine's safety. The motor redactor is from Comer in Italy. It is in a high speed rate, and long life span and reliable. 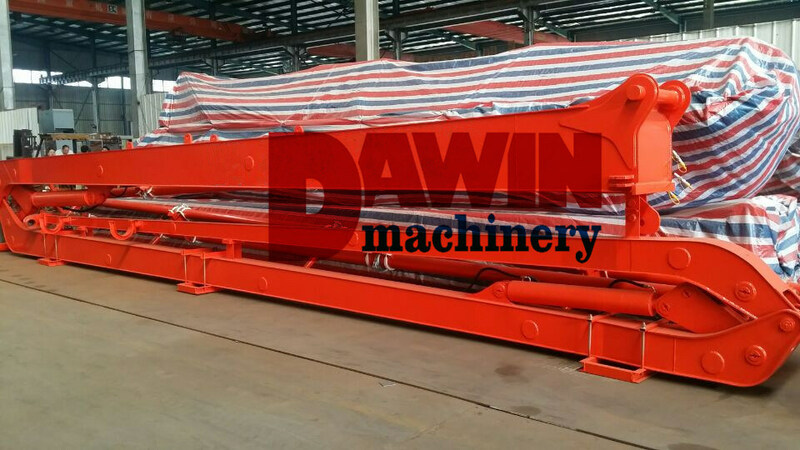 The hydraulic motor can rotate the slewing table and the boom 365Â°through the redactor. The fortified tubular column is adopted. 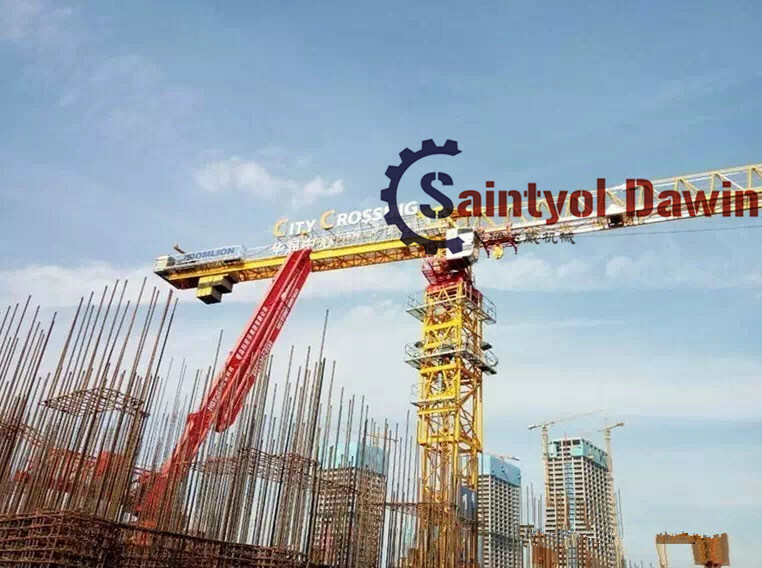 Deformation of the head of the tubular column is 20%~25% less than congener products, it improves the precision for pouring concrete and reduces vibration of the tube. Two climbing modes are for choice: climbing device on floor and climbing device in elevator well. The climbing structure has been optimized and inclined block auxiliary structure is adopted in the tubular column. All can eliminate the error effectively for drilling holes in the floor. The power system adopts electrical engine and plunger pump with high pressure, low flux pulse and low noise. Electro-hydraulic stacked directional valves areÂ in good performance and good working condition. Balance valves are from Oil Control, they can support safe guard for boom movement. 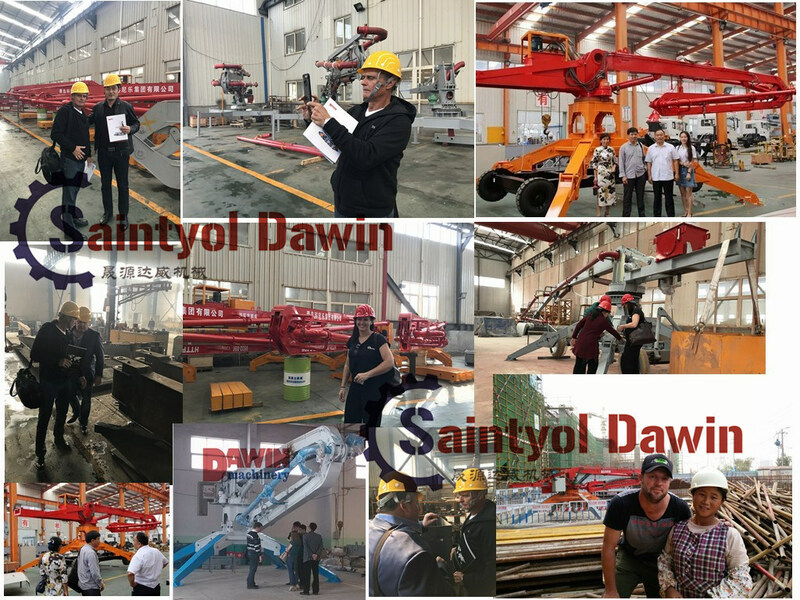 2.6.1Â The advanced and reliable electricity equipment:Â DAWINÂ concrete placing boom has the advanced digital technology control. The electric control box has the flexible outside, excellent manufactory crafts. This equipment runs the high-smart control system reliable, steadily and safely in boom control. 2.6.2Â It's all equipped with electric elements from aboard with high reliability. Electric control is comfortable for wired remote control and wireless remote control are all in. Straight pipe adopts special quench heat treatment which makes the pipe's life is longer than 30000 m3.